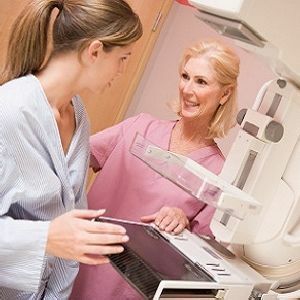 A major international study, published in the New England Journal of Medicine, shows that women aged 50-69 years who attend mammography screening decrease their risk of dying from breast cancer by 40 percent compared to women who are not screened. The latest findings were coordinated by the International Agency for Research in Cancer (IARC), the World Health Organization's specialised cancer agency, and will contribute to an update of the IARC Handbook on breast cancer screening, last published in 2002. Stephen Duffy, Professor of Cancer Screening at Queen Mary University of London, and experts from 16 countries examined the positive and negative impact of different breast cancer screening methods, based on a comprehensive review of evidence from 11 randomised controlled trials and 40 high-quality observational studies. Overall, women who are invited to attend mammography screening have a 23 percent risk reduction in breast cancer death (owing to some attending and some not), compared with women not invited by routine screening programmes. "This important analysis will hopefully reassure women around the world that breast screening with mammography saves lives," says Professor Duffy. "The evidence proves breast screening is a vital tool in increasing early diagnosis of breast cancer and therefore reducing the number of deaths." The findings support previous studies showing that women aged 50-69 years benefit most from breast cancer screening. However, several studies also showed a substantial reduction in risk of death from breast cancer by inviting women aged 70-74 years for screening — a shift away from previous consensus. Only limited evidence was identified in favour of screening women in their 40s. Breast screening helps to diagnose women with breast cancer earlier, thus improving prognosis and reducing the number of late-stage cases and deaths. 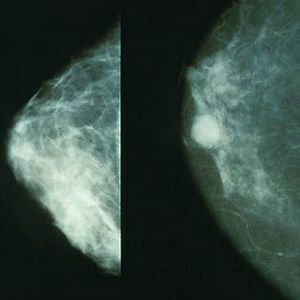 However, concerns have been raised over the negative impact of mammography screening — notably, false-positive results, overdiagnosis, and possibly radiation-induced cancer. Prof. Duffy's review builds upon previous evidence which suggests the potential benefits of breast screening outweigh the risks. Breast cancer is the most frequently diagnosed cancer in women around the world. It is the second leading cause of cancer death in women in developed countries and the leading cause of cancer death in low and middle-income countries, where a high proportion of women are diagnosed in advanced stages of the disease. healthmanagement, breast cancer, IARC, breast cancer screening, mammography, risk of death A major international study shows that women aged 50-69 years who attend mammography screening decrease their risk of dying from breast cancer by 40 percent compared to women who are not screened.